What exactly is Fingerprint Art? Fingerprint art is where you use your fingerprint to create characters and objects. There are endless possibilities, you are only limited by your imagination! It's so easy! Grab an ink pad & some wipes and start fingerprinting! Use fine point markers to add eyes, legs, wheels or any other detail to make you fingerprint come alive! Create insects, people, animals, automobiles, trains, mountains, houses, planes...as I indicated earlier, the sky is the limit! Or is it??? Create a solar system of planets buy using different fingers for different sized plants. Oh, look at the fun you will have! If you are making a scrapbook for your child, let him or her help! They will just love it! Get your stamp pads out and start fingerprinting! 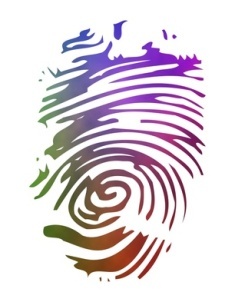 Have You Created Any Fingerprint Art? If so, share it here! We would love to see it!